DAV Dehradun claims the overall champion title of CBSE North Zone Judo Championship with total 40 medals and 14 gold medals. On Sunday, the closing day of the championship played in the Modern School, Sector-11, the hosting school also claimed overall 9 medals with 1 gold medal. 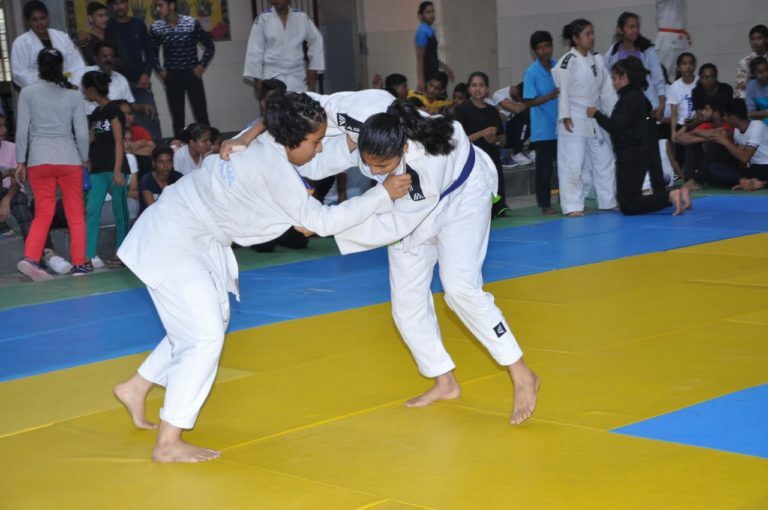 CBSE North Zone Official Rajvir Singh, Vishvajeet Saha and International Woman Judo Player Shivani Chauhan awarded the medals to all the winners. Total 750 swimmers from the West Uttar Pradesh and Uttrakhand region were part of the prestigious competition. Girls of DAV Dehradun clinched 08 gold medals and 04 silver medals in the competition. Boys of the same school claimed 06 gold medals, 04 silver medals and 06 bronze medals. DAV School Dehradun were named as the ‘Overall Champion’ of the swimming competition for showcasing great performance. Srishti clinched gold medal in the Under 19 age category, Richa earned her medal in the Under 19 age category and Anivesh grabbed silver medal in the Under-17 age category. Anas Qureshi, Mukaddar Singh Rathore, Khushi Yadav, Naushad Ali, Prachi, Laxmi Wadhva were the bronze medal winners in different age categories.